Although a recent report says Google will bring the two systems together in less than two years, things might not move that fast after all. 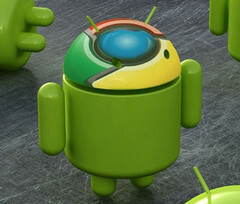 Google now has two operating systems in its portfolio and, since Chrome OS and Android both use a monolithic Linux kernel, merging them sounds like a natural choice. This move has been in the rumor mill for a while now and yesterday, new information made it online. According to insiders familiar with the matter who spoke to The Wall Street Journal, Chrome OS and Android will merge by 2017. For now, Chrome OS is better suited for desktops and notebooks, while Android dominates the mobile market. Microsoft Windows 10 brings all devices under the same banner, with access to the same app store, so the new operating system from Google will try to do the same. The same sources mentioned earlier revealed that Google's upcoming operating system will offer access to the Google Play Store to as many devices as possible, including tablets, PCs, and smartphones. As a natural move, Chromebooks will also have to get a new name. Unfortunately, there is no information about that yet. On the other hand, the new head of Android and Chrome, Hiroshi Lockheimer, posted on Twitter that Google is "very committed to Chrome OS" and confessed that he just bought two Chromebooks for the kids to use at school. Considering the above, it might take more than a year or two for the company to merge its two operating systems. On the other hand, nothing is official yet, so we just need to wait and see what happens.